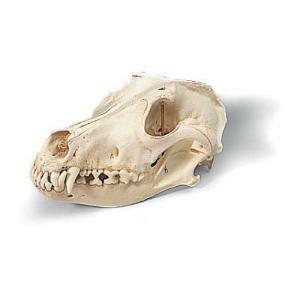 Learn canine skull anatomy. A great resources for general biology, anatomy and physiology, veterinary and agricultural sciences courses alike. Size may very slightly depending on specimen availability.